Church of Garabandal Renovations Complete!!! 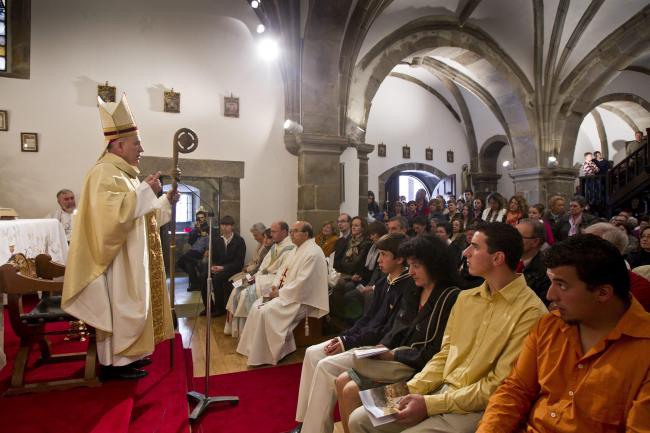 On Sunday May 6, 2012, Bishop of Santander, Vicente Jimenez Zamora, celebrated the inaugural Mass. 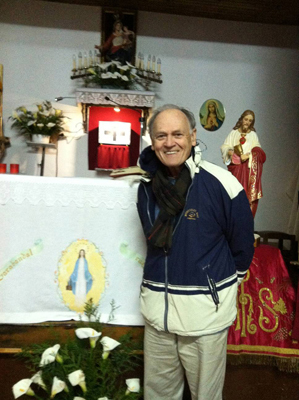 Ed Kelly is standing in front of the Blessed Sacrament and Our Lady of Garabandal while the old church was being repaired. This is where the Mass was being held every day. 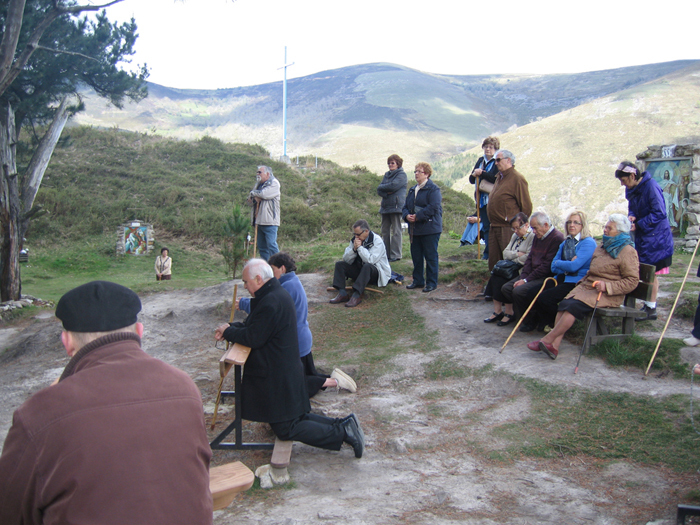 Father Orlando is kneeling in front of the “pines” praying the Rosary. 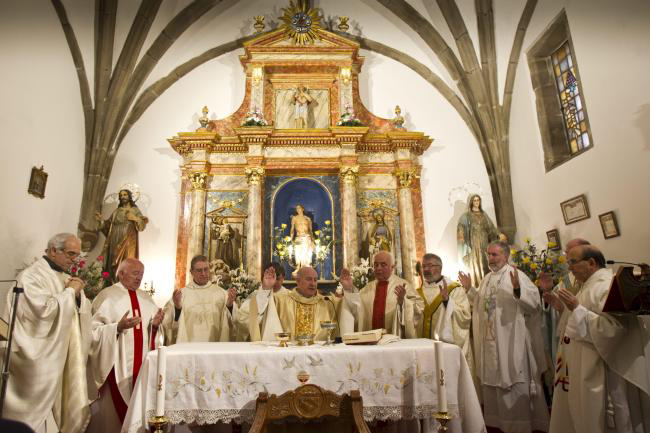 Bishop Vincent Jimenez Zamora consecrated church San Sebastian in Garabandal May 6, 2012 with nine priest concelebrating. 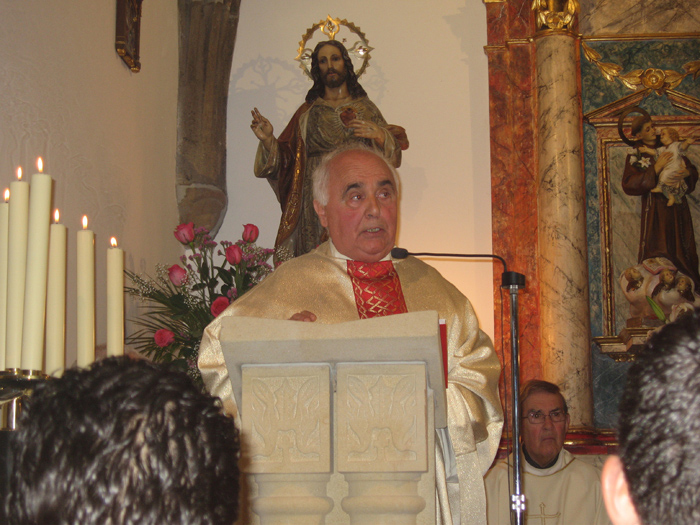 Bishop Vicente Jimenez Zamora congratulated the people for their part in helping to restore the church.